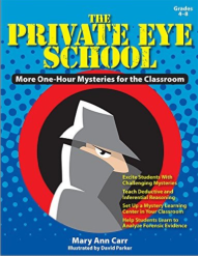 Turn the fourth-through-eighth-graders in your program into junior detectives. Children will be challenged with five mysteries to solve, requiring deductive and inferential reasoning. In addition, children will learn to analyze forensic evidence and decode messages. Mysteries include The Great Electric Train Robbery and The PIzza Delivery Joke Mystery.